While each therapy can be used as a treatment on it’s own, often a combination of the therapies is used which will enhance the benefits to the client. 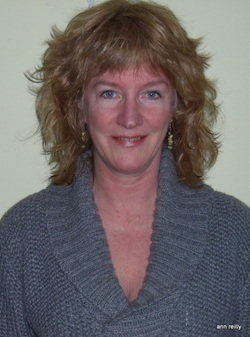 I have been a practitioner of Natural (Holistic) Therapies for over 25 years. I first became interested due to some health issues of my own which had become chronic and I found no relief through western medicine. Through my own successful experiences of natural healing therapies, I decided to study and work in this field. I first attended the New Mexico School of Natural Therapeutics in 1979 and received a diploma in Massage, Reflexology and Polarity Healing. Next, I completed pre-medicine studies at the University of New Mexico. I then attended Life Chiropractic College-West, California, for 4 years earning a Doctor of Chiropractic Degree in 1986. I use Cranial Sacral Techniques as taught by Randolf Stone, D.C., D.O. and have attended CST courses taught by the Upledger Institute. I am a Reiki Master and Teacher since 1996. In 2003, I completed the Instructor level of Integrated Energy Therapy (IET). I was taught THE RECONNECTION under the guidance of Eric Pearl, the founder, in 2006. And I traveled to Amsterdam in 2008 to train in Colourpuncture. I have been very fortunate over the years to have lived and worked in several countries.